Ready to start monetizing your years of experience, skills, & wisdom beyond a paycheck SO YOU CAN Create more impact with your gifts while creating more financial & lifestyle freedom on your own terms? The Blueprint to Turn Your Expertise into Your First $10k in Biz in 90 Days! The 90 Day Incubator for Ambitious Women Ready to build the mindset & strategy they need to Successfully Start Packaging Their Years of Experience & Expertise Into a Personal Brand with $500 - 3000+ Coaching, Consulting, Speaking, or Training Programs, Services, Products, OR Events & Finally book Their First $10k in biz with the foundation to go Beyond! “I created The First $10k Blueprint because I believe every woman with years of experience, skills, & knowledge who KNOWS she can create real impact for others owes it to herself to explore how she could leverage & monetize it to create MORE life & financial freedom on her own terms now, not later! Whether you’re starting from scratch & know what you want to help your clients with, but need to start packaging & marketing your expertise OR you’ve worked with a few clients, but know you’re missing a few key pieces to charge more & sign more clients consistently, I want to help you! 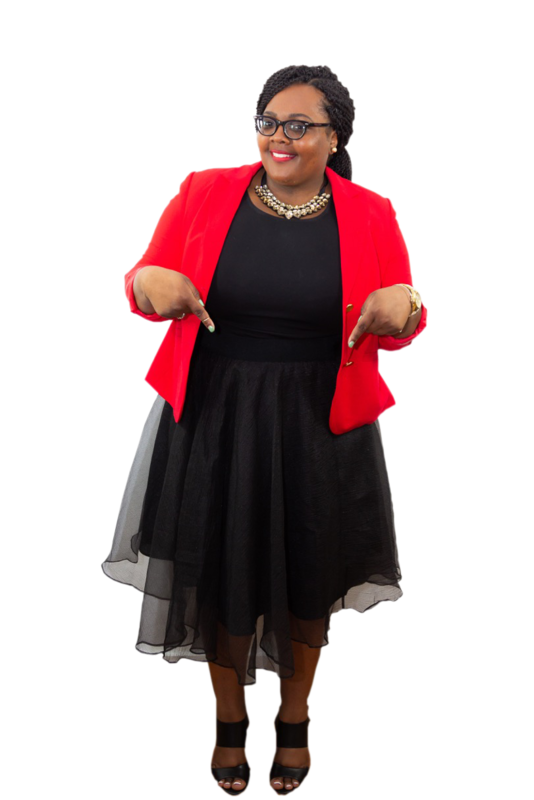 If you have NOT generated your first $10k in your business with the solid foundation to do it again & again with ease, this is for you! Leverage your expertise to create your framework & curriculum to get your clients the best results! Develop your signature program & exactly how to package, price, position, promote & AND sell it, confidently & quickly! Outline your plan & business model to generate your first $10k in 90 days, plus I’ll ensure you have a outline of you can take your first $10k to six figures after our 90 days together! 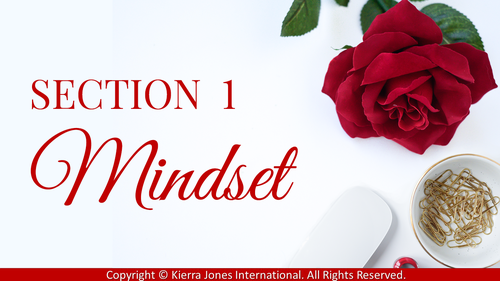 Build the mindset you need to actually make your first $10k & rebuild your expertise, sales, & money limiting beliefs so you stop holding yourself back & fully own who you are! No more doubting your expertise, prices, or self! No more fear of video, being visible online, or selling, doubt around money, or feeling like a fraud who’s not enough or worth it! Clarify your niche & assess your expertise, skills, & gifts so we use the most marketable pieces to craft the right message so you feel confident in attracting the right audience! You’ll get to know them on a deep level - where they need help, why, & how they feel so you stand out in your industry & position yourself as an expert they want to invest in! 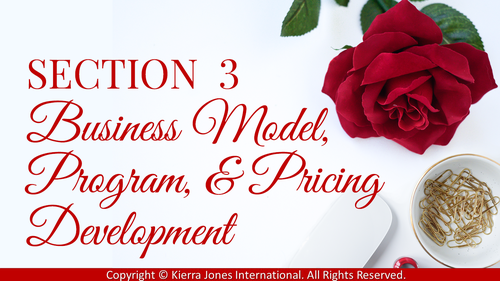 Use my profitable program development blueprints & personalized feedback to confidently & profitably design your first signature services, programs, & speaking/training products & develop your very own unique framework that helps build your credibility & delivers the transformation your clients need so they become raving fans! Market & position your brand, expertise, & offers to the right audience! Plus, how to develop a system to create powerful content & leverage it in your marketing to get visible, increase your brand awareness & authority, & generate leads without spending all day on it! It took me months to develop this process my clients & I now use to book clients directly from social media post, emails, & videos! Cheers to not having to figure it out alone, chi-chang! Build the sales messaging, strategy, & confidence you need with my script/process to master your sales pages, posts, & calls for $500 - 3000 offers (some booked their first $4-7k sale) like a natural born, soulful sales queen without questioning your prices, knowledge, or self! 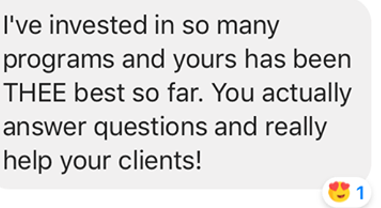 My clients have proven that new coaches, consultants, speakers, or trainers don’t HAVE to sell cheap prices or have free clients first to powerfully position yourself to stand out! Transition from employee to entrepreneur mentality so you can develop the daily success, time management, & productivity habits you need to run your business like a business & boss! I worked my full time job & ran a business & brand for a 1.5 years so I get it! I’ll show you exactly what you need to focus on daily to get results & help you create a plan to build & grow your business while also balancing life so you keep your sanity at work, home, & in business! 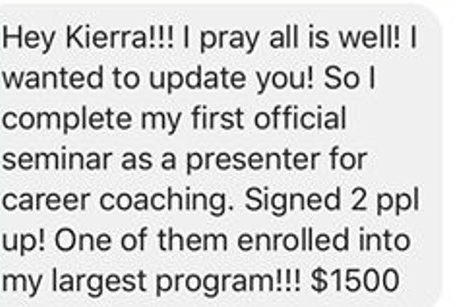 Today, I am personally gifting 80% off of the normal investment of $2497 to join this experience for ONLY $497! 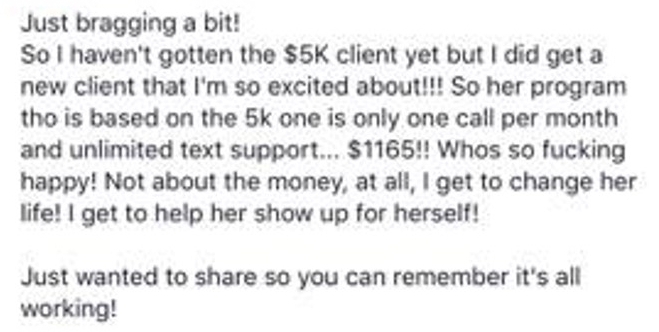 AND, BECAUSE I LOVE TO WORK WITH FAST ACTION TAKERS & WOMEN WHO ARE SERIOUS ABOUT GETTING RESULTS (BECAUSE I AM), IF YOU JOIN US WITHIN THE NEXT 72 HOURS, YOU'LL BE RECIEVING OVER $15,000 IN BONUSES! 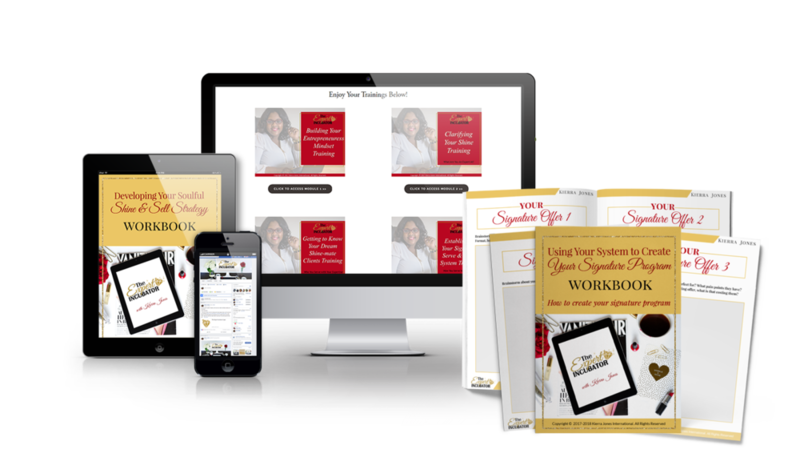 Bonus 3: Access to my 30 Ways to Monetize Your Shine NOW Workbook + Exclusive Monetization Masterclass - we’ll identify what you have that you can offer now to generate income in your business, even if you don’t have a website, your messaging isn’t perfect, or you don’t have a big audience to sell to! Bonus 4: 3 Month Access to a private community so you have like-minded women you can relate to for an additional layer of feedback, accountability, & support so you never feel alone! The entrepreneur journey can feel lonely especially when you want people to bounce ideas off of because many times, our families, partners, or friends just don’t get it! Bonus 5: 3 Months of Bi-weekly Laser Coaching where you will have direct, live access to me for personalized laser coaching, questions, & feedback on anything you need to stay on track & get results. No question goes unanswered & you never feel like you don’t have support every step of the way. Bonus 6: An epic 90 Day Profit Planning training to kick off your experience where I’ll walk you through how to map out your next 30, 60, and 90 day plan so you know exactly which modules in the blueprint YOU should start with first, where to go next, how you should be structuring your days and weeks, and you always know what you’re focusing on, marketing, & selling for the quickest & most impactful results so you can hit the ground running towards your $10k in 90 days goal! I break down your path to your first $10k step-by-step with the actual proven blueprints my clients & I have used in a way that no other multiple 6 figure coach is providing with this level of value at this price! 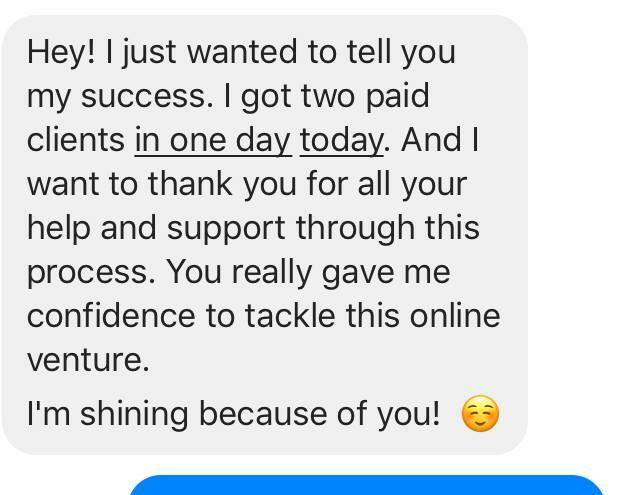 It's over $20,000 of self study mindset & strategy video trainings with live direct access to me for coaching plus worksbooks to help you customize everything along the way even more, a community for extra support, & priceless bonuses to help you crush your first $10k goal! Inlcudes lifetime access to our First $10K Blueprint trainings AND 3 months of free access to our bi-weekly group calls PLUS all the bonuses mentioned above for an investment of $2497 ONLY $497 when you grab our holiday special today! If you thrive off of personal attention & want private 1:1 support having someone by your side to help break things down even more with extra accountability as you implement the blueprint, this is going to be for you. 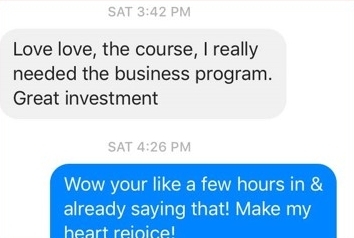 It includes everything in the regular membership plus (2) Private Coaching Sessions with me so you & I are in direct contact about your business & on top of your goals in addition to the 3 month bi-weekly group coaching calls with an investment of $1997 ONLY $997 when you grab our holiday special today! *Once you hit the button for the investment level you’d like & make your payment to join, you'll be receiving IMMEDIATE access into the membership portal with your trainings, a link to our private community where I hang with your fellow Expert Incubators, and your next steps to access your onboarding 90 Day Profit Plan training! I'll see you inside! Celebrate making their first thousands of dollars in business & book their first batch of $500, $997, $1500, $3000, $4000, & $7000 sales in a matter of 30-90 days! 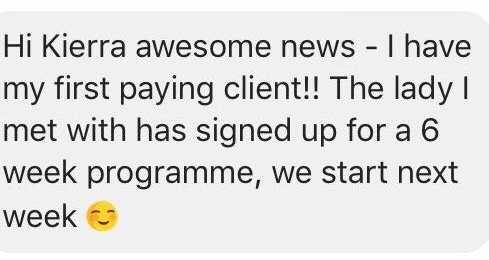 Sign 20 clients in their first 6 months! Get clarity & confident in what they do & communicating it attracting PAID book deals & speaking/training gigs! Create a profitable business model that allowed them to balance their working time in their business while also managing life! Eliminate all the stuff they were doing that wasn't helping them grow their brands or bring in money & clients, just wasting time, building frustration, & draining their energy & faith! Pay off thousands in student loan & credit card debt AND save for their first homes & investment properties! Finally put in their 2 weeks notice & go full time in their business after 3 months because they invested in creating a foundation they could finally get on a path of freedom with to design a life they are obsessed with & fully enjoy the people, experiences, & things they love - instead of just talking about it in their dreams & journals! 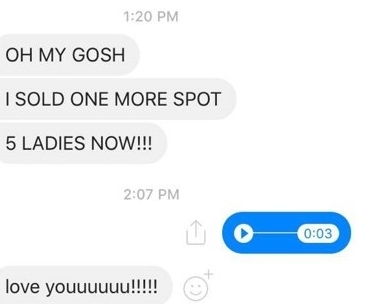 When these women started with me, no one knew their name! They were extremely hesitant to show up, get visible, & didn’t know how to market their skills or even talk about what they could help their clients with. They were so overwhelmed with what to focus on & where to start! 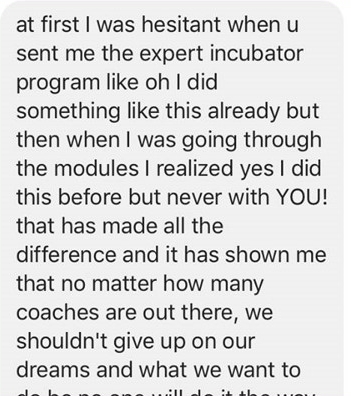 As I guided them through my blueprint, the way they thought & felt about themselves, their expertise, & the value they deliver completely changed. And now, I would love to help you too! If you’re ready to FINALLY stop giving their expertise away for pennies (or for free because unfortunately many don’t understand that you do NOT need to have a bunch of free clients first), join us today! Over a dozen video module trainings breaking down every step, strategy, process you need to generate your first $10k in the next 90 days from mindset, clarity for your niche & messaging, ideal client & target audience, outlining your framework, programs, & prices, creating content & generating leads, establishing your brand & email list online, & selling your offers, plus lifetime access! 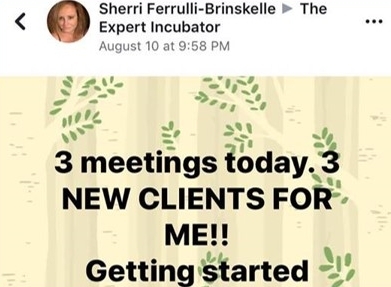 And, if you are joining the VIP Elite level, (2) Private 1:1 sessions so you always have a 30 day action plan & know where to focus & what you’re marketing & selling for the best & quickest results plus tackle any mindset blocks coming up around your goals! 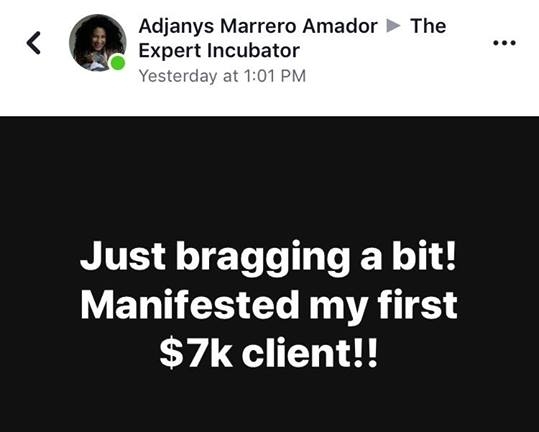 Your Lifetime Business Training Membership + Weekly Live Coaching Access to Me + Membership to Connect with The International Community of Expert Incubators + All the other epic bonuses for an investment of a one time payment of $497 USD ($2000 Savings)!